It seems nowadays that everybody has a smartphone, from young people to older folk, and everyone in between. This has caused a bit of a conundrum in the mobile gaming world, as developers look to target specific age groups with their content. At present, there is near enough of an unlimited amount of games to choose from, ranging from the timeless classics like mFortune mobile bingo and solitaire to Virtual Reality shoot-em ups and Zynga FarmVille. However, there are few that are engaging to all audiences and suitable for players of all ages. So we suggest the five games that we believe is the best for absolutely everyone to play and enjoy. Many people who downloaded and played this title would have come across Alto before. 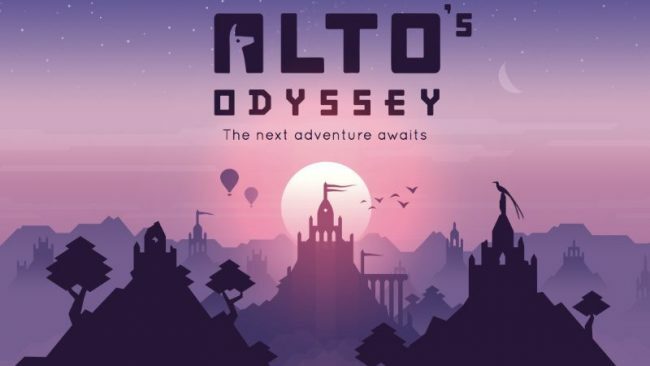 Alto’s adventure was the predecessor to Odyssey and was a superb game, however, we think this one is even better. Players will join Alto and his friends as they embark on a thrilling sand-boarding adventure. It’s a great pick up and play game, that is easy to get into, but hard to master. The backgrounds and the whole visual approach are out of this world, as they have their own unique cartoon style. Battle Royale games are becoming increasingly popular, but you could argue that not all of them are suitable for all ages. Battlelands Royale changes that, as the gameplay is there to be enjoyed by everyone. Each game will feature 32 players, with battles going on for 3-5 minutes. It’s an epic last man standing title that has been designed for mobile and for players to be able to enjoy themselves whenever they have a spare 5 minutes. While it may be a simple take on battle royale, it’s certainly highly addictive. Pumped BMX 3 is the third and final instalment in what has been a memorable game series. It’s a simple enough game to play, with players tasked with pulling off crazy stunts to complete challenges and beat high scores. There are tricks aplenty, as well as more riders and bikes than ever before, with players having over 720 challenges to complete. Pumped BMX 3 is a game that will also keep people of all ages entertained for hours, with something new at every turn. Now, some people may be old enough to remember Rayman. He was a hit character on consoles years ago, but since then has started to re-establish himself as one of the top gaming protagonists around. Rayman Adventures sees Rayman back to his best, in a more arcadey role. He will run automatically through levels and the player must tell him when to jump etc. The aim of the game is to collect Lums, with these then helping to unlock new levels and characters, amongst other things. Tiny Wings was released back in 2011 but it has been consistently updated by German developer Andreas Illiger over the years. The premise of the game is simple, players must race a tiny bird over islands to get as far as possible before nightfall. The simplicity of this game, as well as the fantastic cartoony and colourful visuals, are what makes this a great title, one that is still a top 20 arcade game still to this day.